I'm absolutely newbie in Linux world, and wanted to try it. By looking distros in the internet, came to Elementary OS which is I liked very much due its clean design. So, downloaded it (0.4.1), burned on USB stick, and installed. 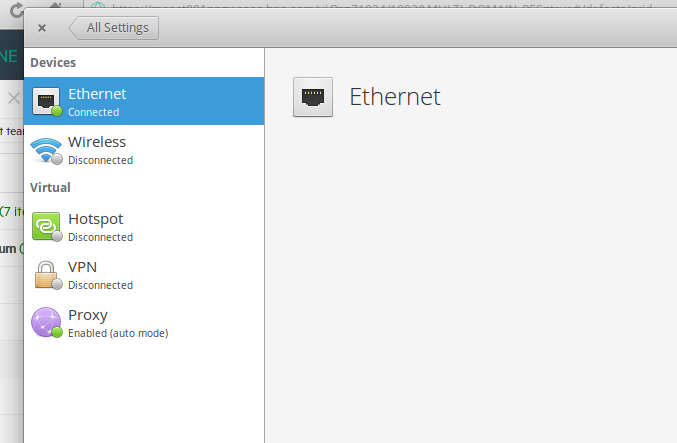 Everything is fine, except that there is no Wi-Fi (and no Ethernet too). Trying to googling it a bit, looks like this issue with my laptop (or specifically - BCM4350) is pretty common. Anyway, wasting almost 4 hours on it - I didn't fix it. Then started looking for other distros, and downloaded Linux Mint Mate 18.1. Even didn't yet installed it (because it loaded into try-it mode immediately) - and woohoo - WiFi works just fine out of the box. P.S. Main difference I noticed, is in Elementary it was: "kernel modules: brcmfmac, wl", when in Mint its just "brcmfmac". This is the screenshot from my network settings. Are you saying that you don't have the section of wireless and Ethernet ?